It's truly amazing how much time simply getting organized can save. Many people think that organizing is a challenge or a chore, but it doesn't have to be. 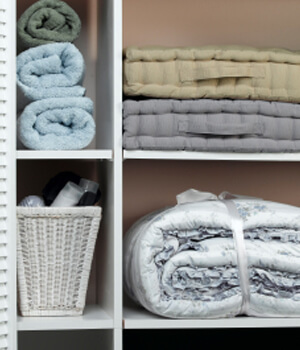 Use these three simple time-saving tips from Molly Maid to help get your home organized. Designate. One of the simplest ways to save time is to have a designated place for everything. When you have that place, put items back when you're done using them. This is easier said than done, but getting both yourself and your family into the habit of doing so can save you a tremendous amount of time. Start small. Remember, you don't have to get your entire home organized in a single day. Start small with places like drawers and then move on from there. Purchasing dividers and other organizers can be a great way to organize your home's storage and prevent you from wasting time trying to find things.